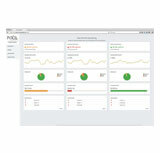 These purpose built monitoring systems allow the user to remotely connect and monitor their emergency telephones, analyse lift operations and device status with Australian-wide connectivity. The Lift Monitoring System (LMS) is designed to aid in the monitoring and analysis of various operational parameters of elevators and escalators. The Lift Monitoring System is linked to every lift/escalator, to provide real time monitoring and reporting of each lift. Specialized hardware collects data from elevators/escalators and transmits it over an Ethernet based network to an LMS Computer. 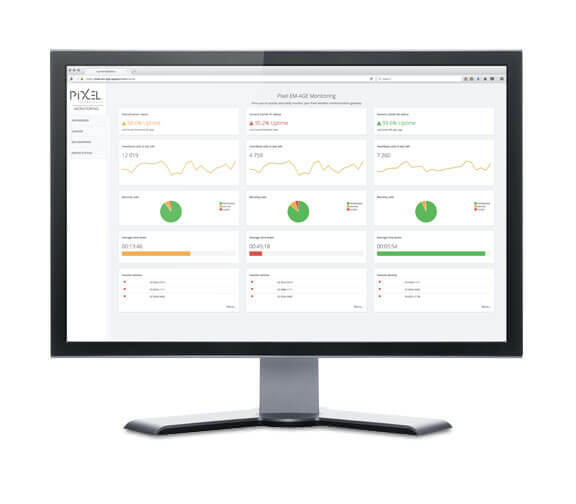 A suite of software running on this computer allows a user to see the status of all Monitored Devices, and to generate various reports that present interesting subsets of the collected data. The LMS can accurately record the occurrence, time and date of various events, for logging and reporting of lift breakdowns and availability. The LMS is easy to install using CAT5E Cabling, with no set limits to the monitored equipment. 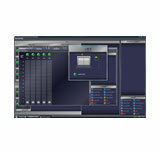 Each input can be customized and all inputs have real time monitoring. Any faults are identified as Red for Emergency and Yellow for Warnings. The Lift PI, Direction and Messages are transferred using our Universal Encoder Card. 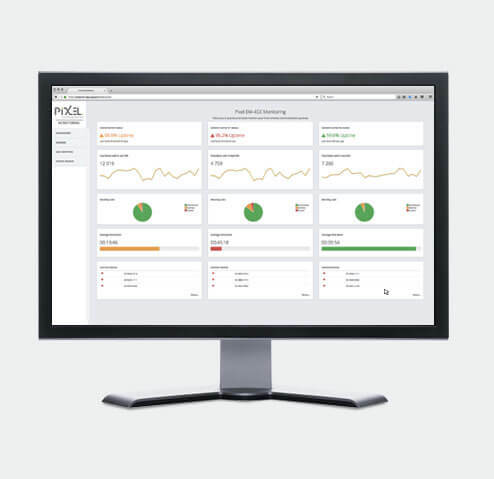 All information can be viewed and accessed through a remote connection via Ethernet or Internet, in a user friendly graphical interface.  The LMS is a powerful, cost effective system, that is the perfect complement to a Design-Com Lift Display network. The Remote Phone Monitoring System (RPMS) ensures safety and reduces maintenance costs of help points with Remote Phone Monitoring. The routine testing of emergency and help point phones is typically carried out by manually pressing the call button of every phone to simulate an emergency call. A process which is labour intensive, costly and lacks an audit trail. The potential of a phone not functioning in an emergency poses a real risk, such as a motorway driver requiring urgent assistance or an entrapped lift passenger. 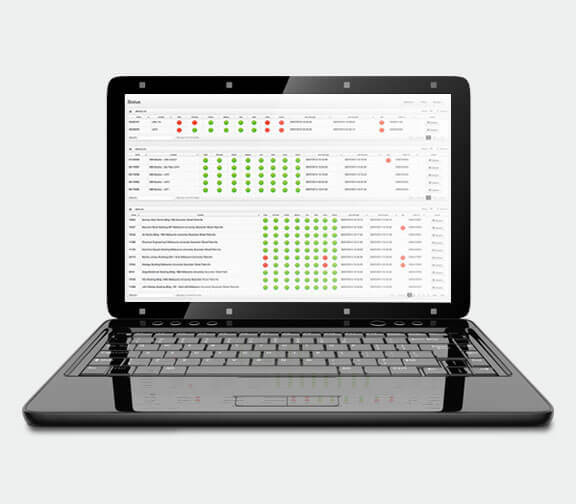 The emFONE Remote Phone Monitoring System (RPMS) helps avoid these incidences by automatically testing at intervals of 3 days (as per European Standard EN81-28) or at any other chosen interval. During a test, the phone will call the RPMS to report its status (call duration of only 6-8 seconds ensures no impact to line availability for a real emergency), a failure to call will be recorded and an email can be sent to a chosen contact. Report details can also be viewed at any time, anywhere by simply logging in online, allowing multiple contacts to have access. • Building management can monitor lifts and entrances. • Maintainance technicians can use a mobile to remotely dial in and test a phone line. • Facility managers can investigate how calls are handled with details of what action was taken, when and by whom. 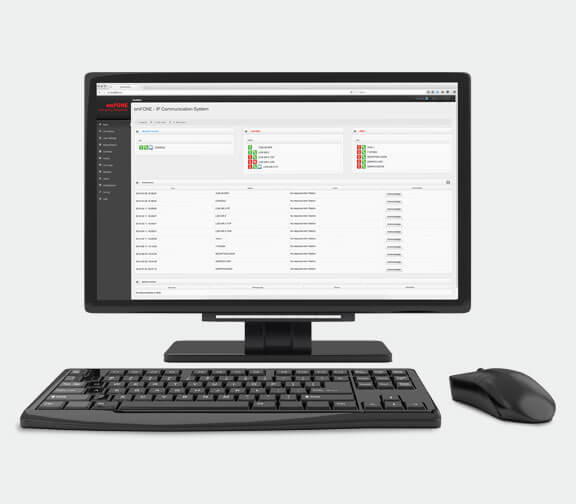 System programming & status reporting for your Wireless Communication Gateway. 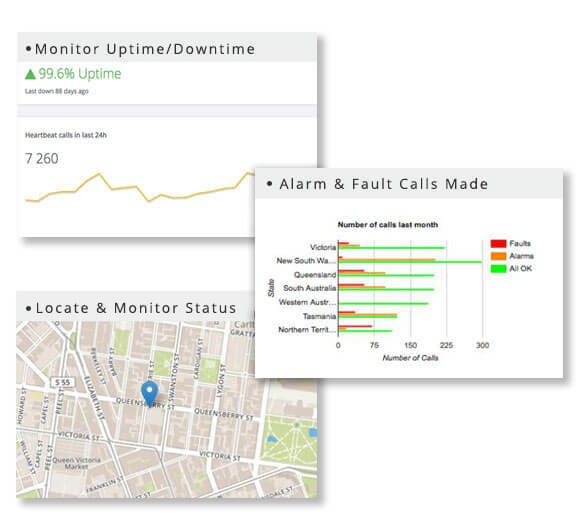 Monitor network uptime/downtime, monitor faults & alarm calls made and geographically locate your device & check system status. *Software and service sold separately to Wireless Communication Gateways. 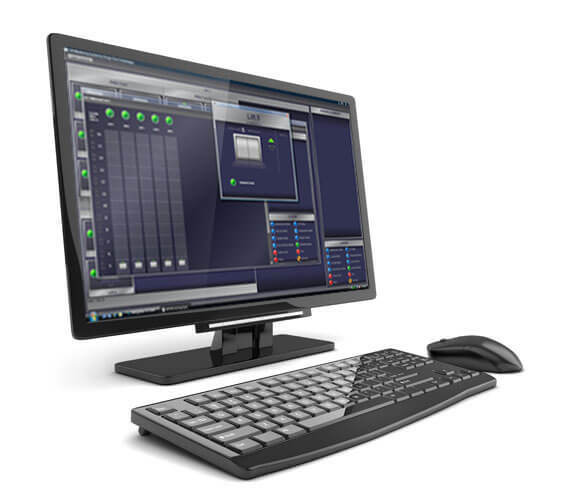 The Digital IP Monitoring System is a comprehensive web based server that compliments the emFONE Digital IP Communication System. 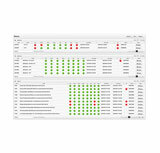 The Digital IP Monitoring System works seamlessly with the emFONE Digital IP Communication System. Designed originally for the elevator industry this system now extends to provide communication to a whole building complex, and can easily be controlled from one central location.